The Queensland Reds have confirmed their 38-man senior squad for the 2017 Super Rugby season, with 13 new signings in total joining the ranks at Ballymore Stadium. Wallabies loose forward Scott Higginbotham has been included after signing a three-year deal. Higginbotham will join the squad at the completion of his Japanese contract. 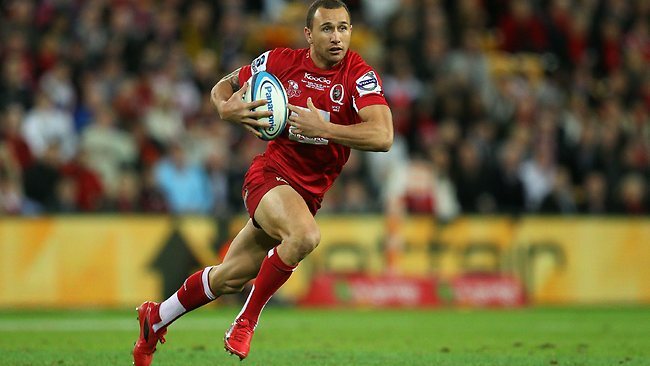 The 2017 squad also includes the return of Wallabies Quade Cooper and Stephen Moore and former Reds and Bath loose forward Leroy Houston, as well as the new signings of George Smith and former Broncos Caleb Timu and Lachlan Maranta. Several players from Queensland’s pathway programs have also been promoted to the senior squad, includingBrisbane City prop Markus Vanzati, City/Queensland U20s scrumhalf Moses Sorovi and outside back Jayden Ngamanu, Queensland Country/Queensland U20s representatives Alex Mafi and Izack Rodda and former Australian Schoolboys captain Reece Hewat. The Reds also re-signed recent Wallabies debutant Samu Kerevi, Japanese Test player Hendrik Tui, winger Chris Feauai-Sautia and playmaker Duncan Paia’aua. In addition to those names, 20 players from last year’s senior squad were retained, including Wallabies Kane Douglas, Rob Simmons, James Slipper and Nick Frisby. The 2017 squad features substantial experience, with a total of 1,239 Super Rugby caps (up from 1,045 in 2016) and 540 Test caps (up from 355 in 2016). The overall makeup of the squad is also a strong reflection on the strength of Rugby in the state, with more than 70% of players coming from the Queensland pathway. In addition to the senior squad, Queensland Rugby has also signed a further nine development players to ensure the future success of the Reds. The Reds development squad includes 2016 Queensland/Australian Under 20 forwards Angus Scott-Young and Harry Hocking, Queensland Under 20s prop Harry Hoopert as well as promising young outside backs Tom Banks and Will Eadie. “We’re extremely happy with the balance of the 2017 squad. We have managed to retain the best young talent in Queensland, while also recruiting some of the most experienced players in Australian Rugby,” Reds coach Nick Stiles said. “And we’ve contained a further nine of the best young players from the Queensland pathway, who will play a significant role in the succession planning and future success of the team for years to come. “It’s an exciting squad with experienced, hardened forwards and skilful backs as well as strong ball runners, which allows us to play some exciting Rugby.